I wasn’t able to make it out to Eagle Bluffs this week. But a few weeks ago some friends and I did go ghost hunting. Which is like bird watching, except without actually seeing the noun in the activity’s title. As the video title suggests, we saw nothing supernatural. But we did learn a lot about friendship, ourselves, and how necessary light is for shooting video. According to this “Legends of America” website, there may be places in Columbia that are actually haunted. We visited none of those. Instead, we did the classic “Ghosts in the Graveyard” approach. 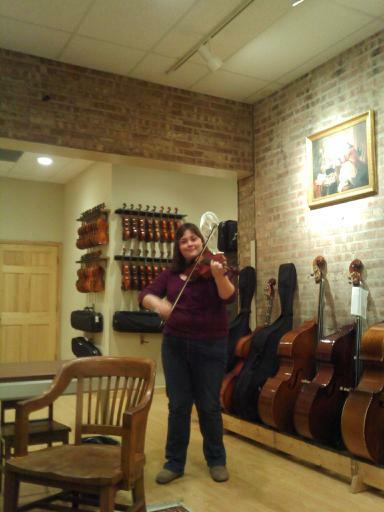 While my personal ghost experience so far has been minimal, a few years ago my uncle sent me this photo of my cousin trying out old violins in Chicago. See that…thing…on her upper right shoulder? I’m too much of a realist to speculate that the spirit of the last violin owner lays dormant inside their instrument forever only to be awaken be the sound of the violin that gave them so much meaning in life, but there’s something there! 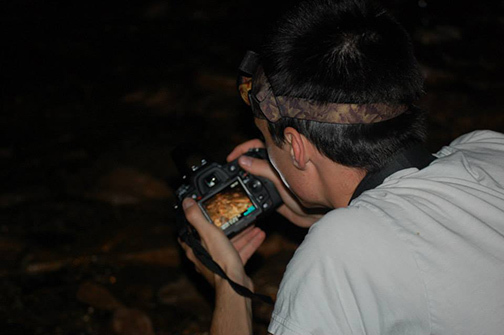 Hopefully I too will one day snap a photo like this in Columbia, be it in the Tiger Hotel or some haunted fraternity’s basement. there are many ways to connect with the supernatural. Not all visual……….